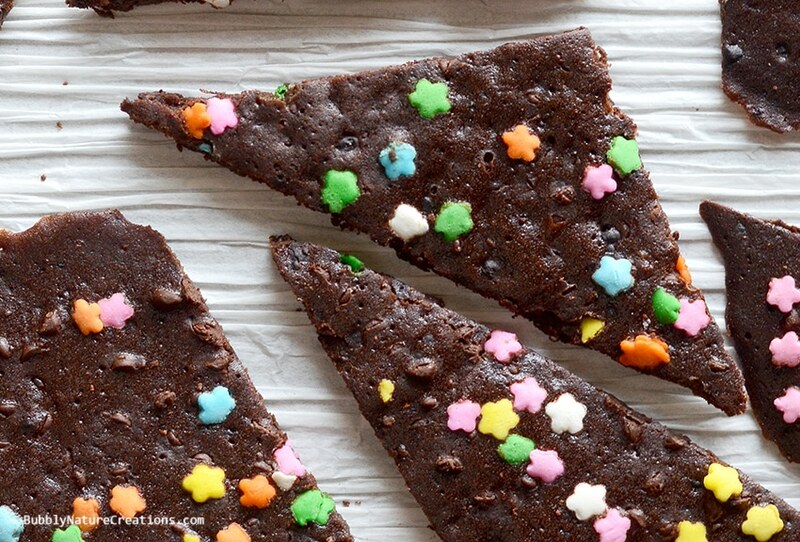 I’ll take brownies whichever way you want to cut them… the soft middle or the slightly crispy and chewy outside. I am NOT picky! My mom on the other hand is very choosy with her brownies. She LOVES the outside edges. 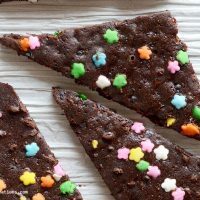 This recipe for Brownie Bark is loosely based off of the ones that they sell in stores now, but you can alter this the way you like it… more chewy or more crispy! Preheat oven to 325. Mix dry ingredients together in a medium bowl then mix in egg whites, vanilla and oil slowly into the dry mix. Do not over mix. Take a baking sheet and place non stick aluminum foil to cover it. Pour brownie mix on the non stick aluminum foil and spread it out very thin. Bake for 20 minutes and take out of the oven and cut into pieces with a pizza cutter. 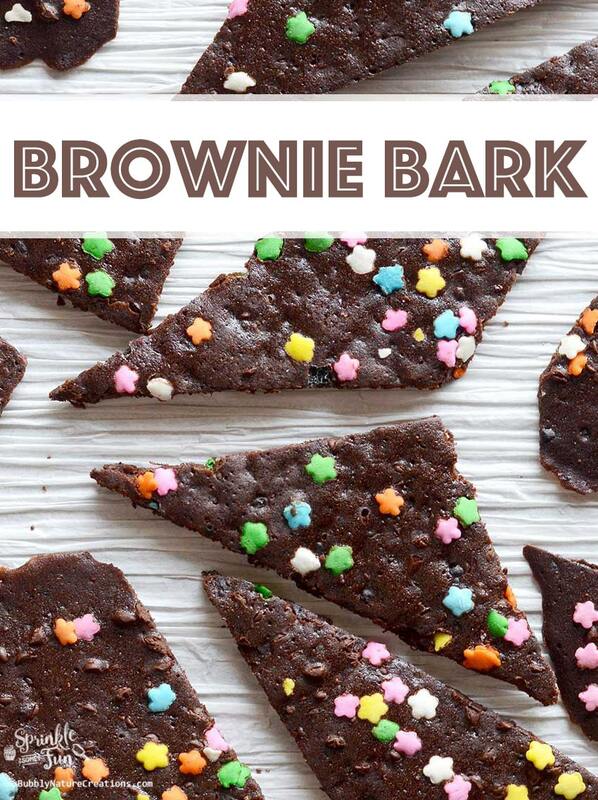 If you like your brownies more crispy and less chewy then place this back in the oven for another 5 minutes. Baking times may vary depending on your oven so adjust to your own oven. 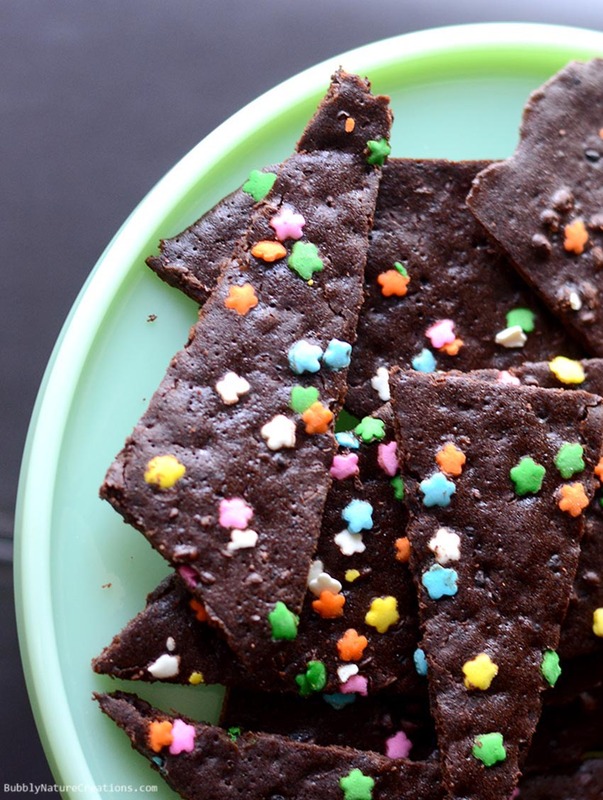 The outside edges are my favorite part of brownies – you mean this is a WHOLE pan of that? Sheer heaven! Pinned! Yep! They are so good!